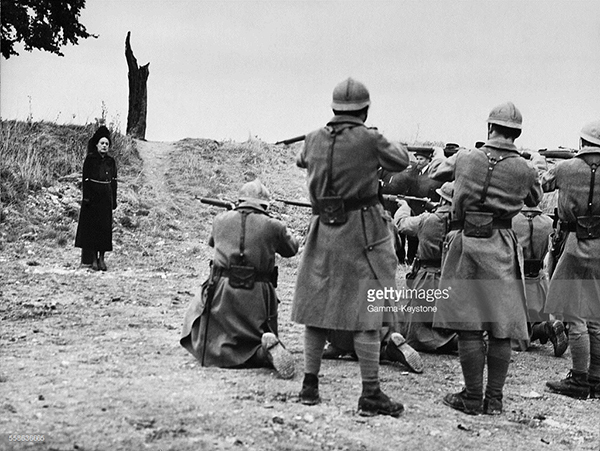 She blew a kiss to the firing squad before they executed her on October 15, 1917. 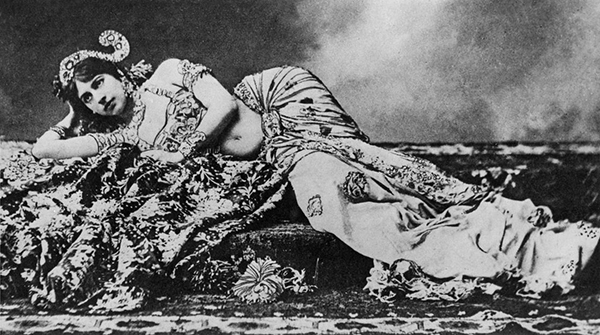 Mata Hari—courtesan, exotic dancer, and spy—was sentenced to death after she was accused of being a double agent. Mata Hari became a spy for France in her late thirties after her dancing career neared to an end and she took on being a full-time lover: a financial decision. She seduced military men, government men, and many others, German officers included. As this was during the time of World War I, she seemed to be playing with fire but that did not stop her. Her frequent travels across borders put her under the surveillance of French officials. 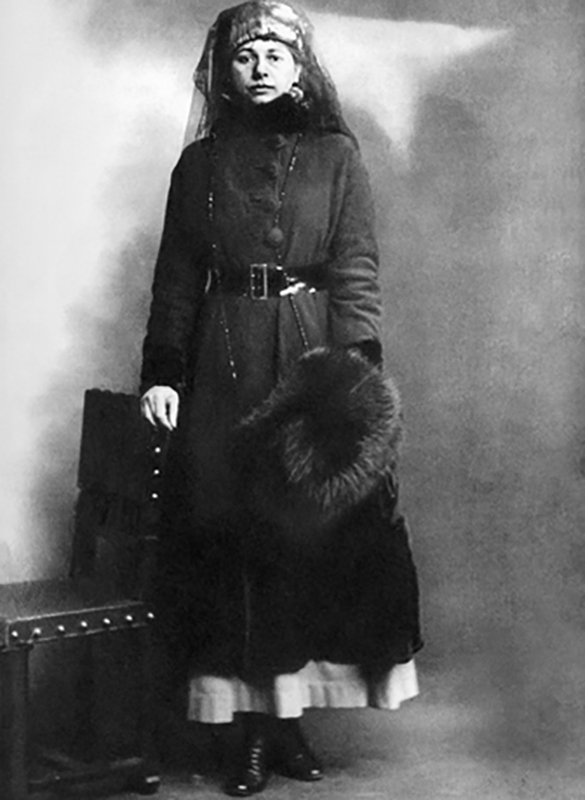 She became a spy after she decided she had to make money to support her new lover, a Russian captain, Vladimir de Masloff, who was left blind in one eye after fighting on the battlefield. Mata Hari used her contacts to gain intelligence and seduce German officers and commanders, hoping they would be careless around her or hope to impress her by providing her with gossip and “dangerous” information. 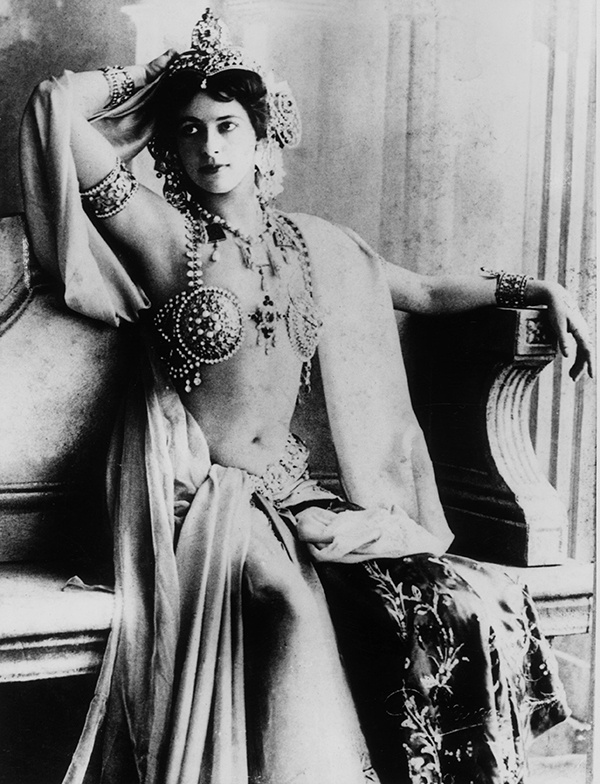 Although it has not been proven, many say that the Germans were onto Mata Hari and they sold her out to the French. Other officials believe that she was actually a double agent, simultaneously spying for the Germans. 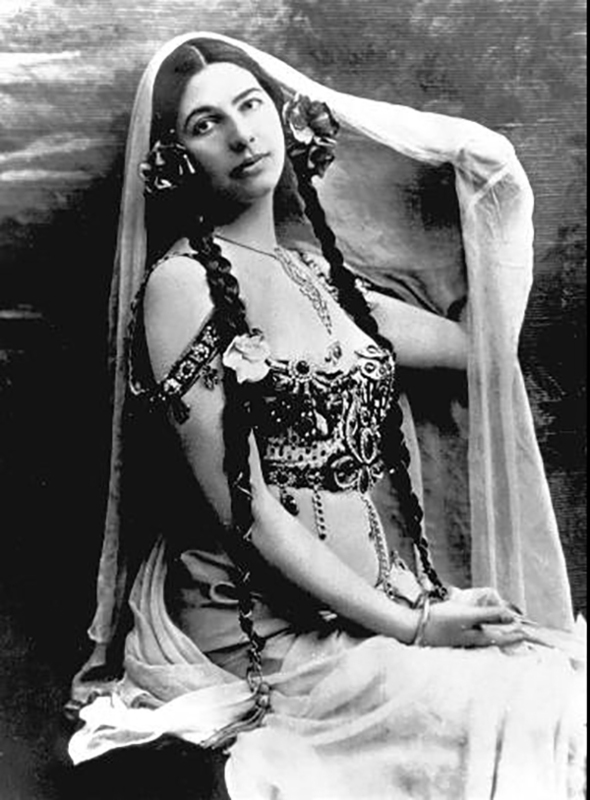 Mata Hari is recorded as having told German border guards who were hassling her: “A courtesan, I admit it. A spy, never! I have always lived for love and pleasure.” The woman of many masks was arrested on February 13, 1917. 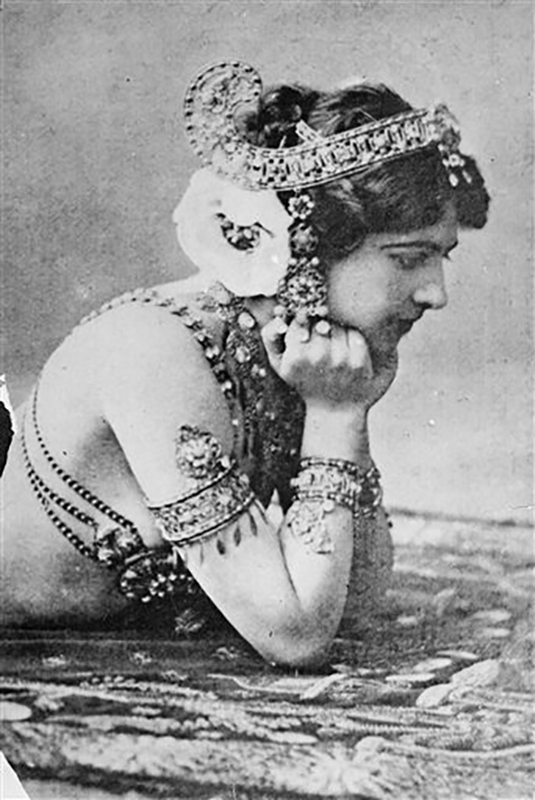 Mata Hari was born in the Netherlands, but heavily influenced by the “Oriental” fad at the time, she changed her name and created a dance influenced by the “Indies.” Also interested in Hinduism, she called herself a Hindu artist and draped herself in veils and headgear which harkens back to Hindu deities. The dancer used this “exotic” appeal to her advantage and made a large profit off of her performances, gaining a large circle of lovers and patrons who would eventually plead for mercy on behalf of her sentencing. After she was arrested, Mata Hari was thrown in a rat-infested jail cell in the Saint-Lazare prison where her elderly lawyer, and a former lover, met with her to create a defense. The odds were stacked against her, with French captains tampering with evidence in order to further implicate her for espionage and money she was paid by German officers was labeled espionage money. The trial lasted less than forty-five minutes—she was sentenced to death. Mata Hari wearing a Javanese-inspired costume. Unknown date. Image via Encyclopedia Britannica. 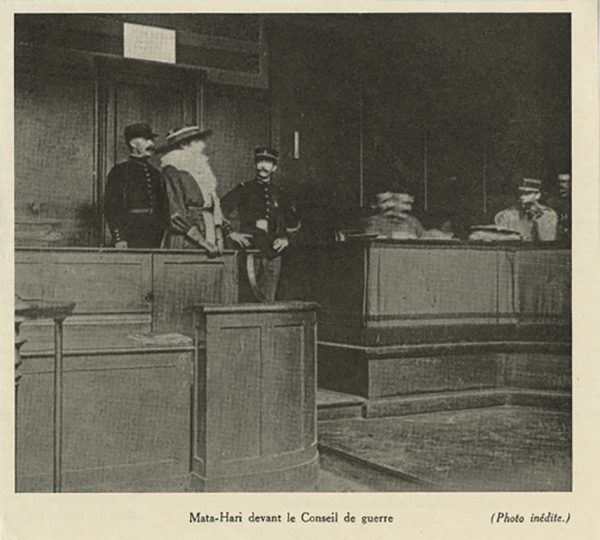 Mata Hari appearing before the War Council. Photo circa 1917; clipped from an unknown French magazine. 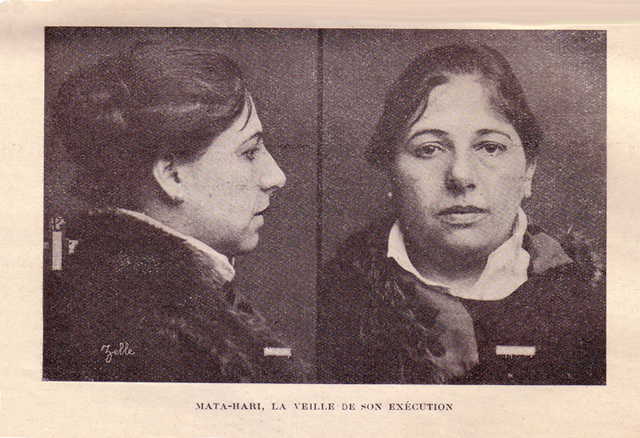 Mata Hari's mugshot. Image via DePaul University Visual Exhibition. Actress Jeanne Moreau during the shooting of the scene of the execution of the spy in the film 'Mata Hari' in Romainville, France, in October 1964. Today In History: Remembering Rosa Parks "The Mother of the Freedom Movement"